Tony Wellesley Street is the city's oldest and a much loved restaurant. It's a traditional steakhouse restaurant, with and old school feel and a menu that won't leave you hungry. 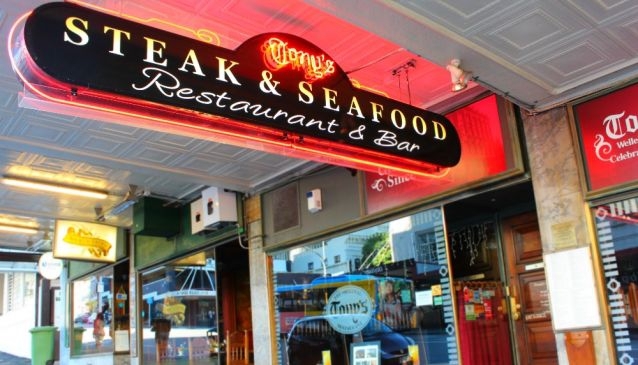 The restaurant has been serving delicious steaks since 1963 from the centre of downtown Auckland. The menu offers over a doxen types of steaks, including 'Tony's Original', a tasty Scotch Fillet cooked with Tony's special marinade. Along with an impressive selection of steaks, the menu also features pasta dishes, salads, a seafood menu and a kids menu. The interior is spacious with dining booths providing a relaxed and more intimate dining experience.